This piece originally appeared on CNN's GPS. It’s a long way from watching and sharing a video to actually catching a war criminal and ending a war. But if the records that have been broken for videos watched and children abducted are to mean anything, then that gap must be bridged. After an unprecedented push to pluck him from anonymity, can Joseph Kony – newly infamous leader of the Lord’s Resistance Army (LRA), whose ranks over the last 25 years have been filled with child soldiers – be brought to justice in 2012? Since 2008, Kony’s LRA has abducted 3,400 civilians. For those operating under the premise that the LRA is in decline, consider this: in 2011 alone, there were nearly 300 reported LRA attacks in three central African countries, more than five per week, during which nearly 600 civilians were abducted. In recent months, attacks are on the rise in Congo and the Central African Republic (CAR). The LRAhas carved out a safe haven in a national park in Congo, and other safe havens are being developed in CAR and, reportedly, Darfur. 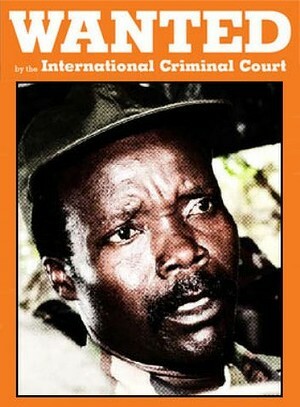 Repeated peace initiatives have been spurned by Kony. He will be stopped primarily by a focused, competent African-led military effort backed by an equally robust defection and demobilization program for LRA combatants. – Forces had access to areas where the fugitives might be hiding. – Intelligence networks were constructed that could discover their precise whereabouts. – Transport helicopters and vehicles were available to move troops into position. – Special Forces were deployed who were capable of carrying out the mission. In the search for Joseph Kony, there is an African Union force consisting of a few thousand troops from the four countries that have been most affected by the LRA: Uganda, South Sudan, Congo, and CAR. Supported by strong Congressional legislation, President Obama has deployed 100 military advisors to the region to help enhance the effort to end the LRA. European Union countries have not pledged any troops. Russia has hinted at providing military advisors to Congo. Other African countries with Special Forces capacities have not been asked to contribute. – The Ugandan forces who lead the effort do not have access to Congolese territory and do not have enough of a troop presence to cover hideouts in eastern CAR, the two areas where the bulk of the LRA are hiding. – There isn’t a sufficient intelligence network that can ensure identification of the hiding places, especially in Congo and CAR, which can improve reaction time regarding LRAmovements and warn civilians about suspected LRA activity. – There aren't enough helicopters to transport troops in the case of a hot intelligence lead. – There aren't sufficient Special Forces trained for the kind of operations that would have a chance of removing Kony from the battlefield, and not enough other soldiers to protect civilians from retaliatory attacks. Willing governments in Africa, Europe and the United States need to close these gaps quickly. They need to support the African Union to negotiate continuous access to the hideout zones in Congo. They need to help the forces on the ground construct a better intelligence network. They need a few more combat helicopters to move troops into position when hideouts are identified. They need to identify, deploy and support more Special Forces qualified to do the job. They need to help support a more effective defection program for LRA combatants, including more radio towers, secure locations to defect, and better outreach targeting mid-level commanders. And if China is not too busy negotiating mineral deals with these countries, its help could be useful as well. The stakes are high. If the current mission fails, and the 100 American military advisors come home empty-handed, the best chance in 25 years to stop Joseph Kony will pass, and the LRA will become an even deadlier force, feeding off its “victory” over the U.S. and its African allies. And millions of young people around the world who watched the Kony videos and took action will ask President Obama and other leaders a simple question: Why didn't you end it when you had the chance?